Pigmented Epoxy Mortar Resin Product #24 is a multipurpose colored epoxy binder for Epoxy Mortar Systems. This all purpose epoxy resin is characterized as an excellent general purpose material with good clarity and color retention. It is essentially odorless and can therefore be used in occupied areas. Pigmented Epoxy Mortar Resin Product #24 is 100% solids and has Zero (0) VOC, so it meets event the strictest low VOC standards. Substrate must be free of curing agents and any foreign materials. Slight color variation can be expected from batch to batch. Pigmented version should not be used as a coating. 100% solids amine cured Epoxy Resin and Epoxy Hardener. 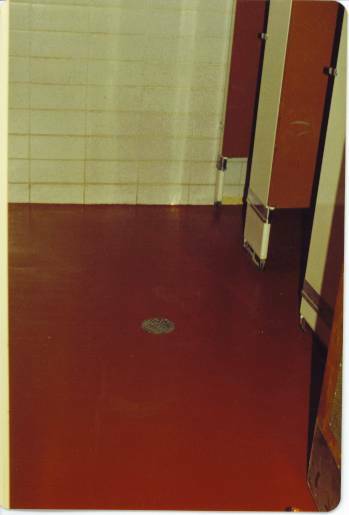 Surface Preparation is the most critical portion to any successful resinous flooring system application. All substrates to receive Pigmented Epoxy Mortar Resin Product #24 must be properly prepared as outlined in Epoxy Surface Preparation Procedures. Epoxy.com technical service department is pleased to answer any questions. Impact Resistance MIL-D3134F § 4.7.3 Withstands 16ft/lbs. no cracking, delamination or chipping. Indentation MIL-D-3134F §4.7.4 Withstands 2,000 lbs./sq. in. for 30 min.